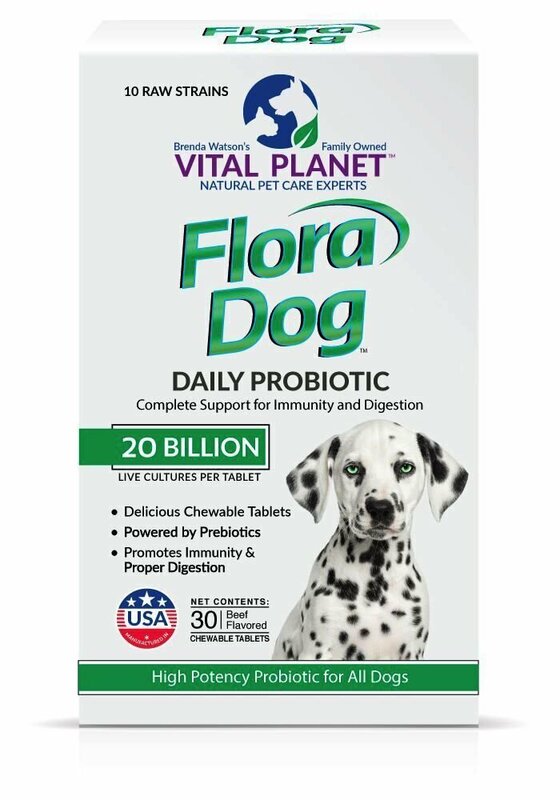 Flora Dog 20 BILLION chewable tablets contain high potency, raw probiotics with 20 billion live cultures and 10 unique strains. 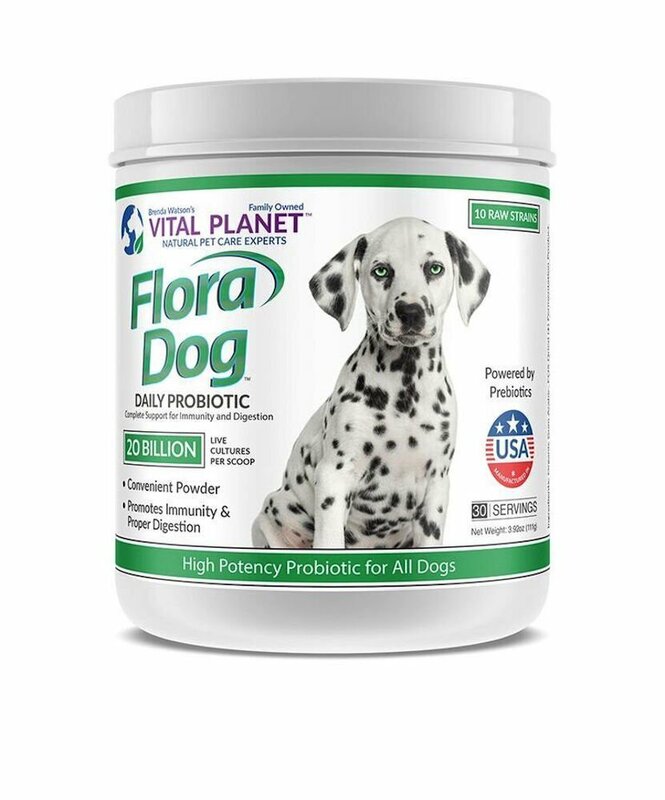 Flora Dog has 20 billion live cultures from 10 unique strains in every serving. Each delicious, chicken-flavored chewable tablet can be fed whole or easily crushed up and added to your dog’s food to help maintain immunity and support proper digestion.